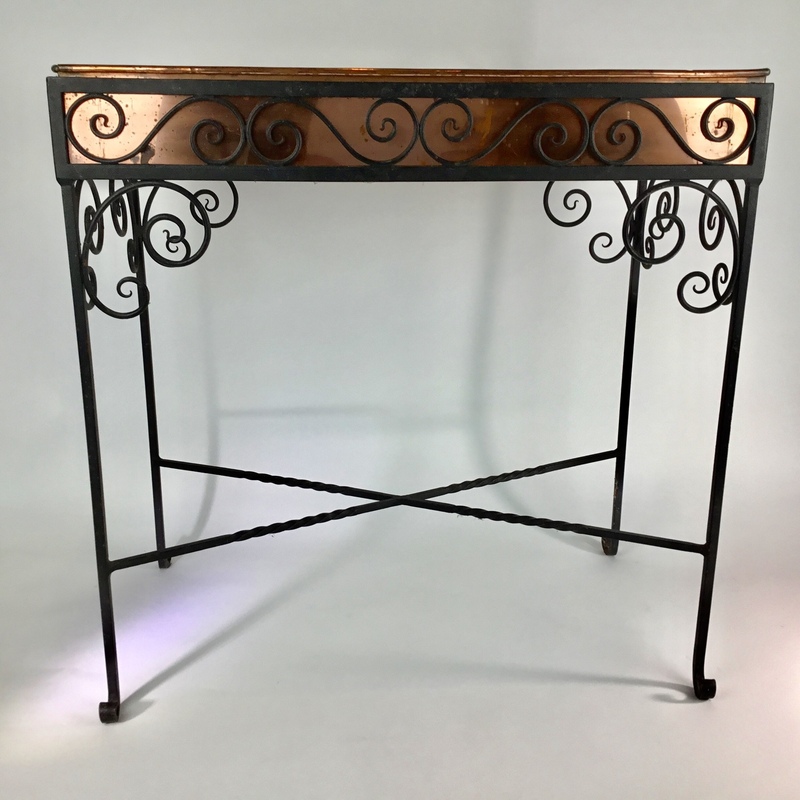 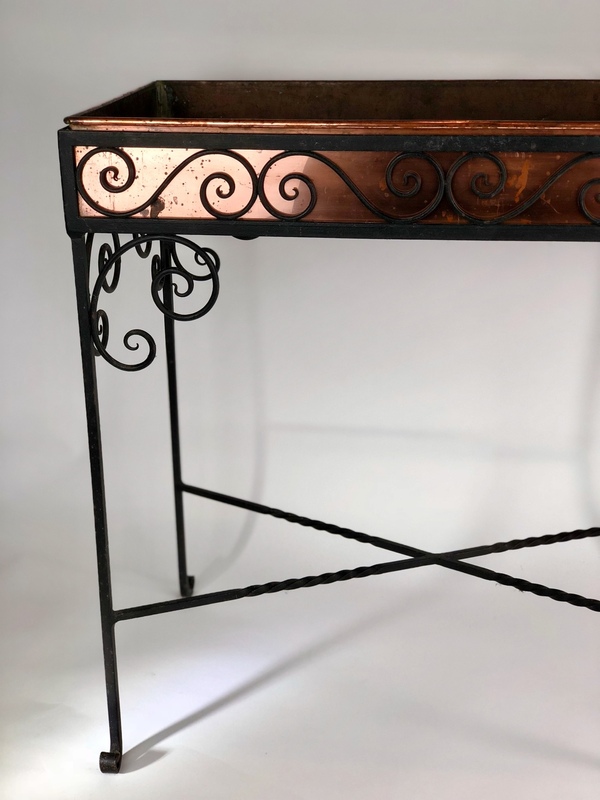 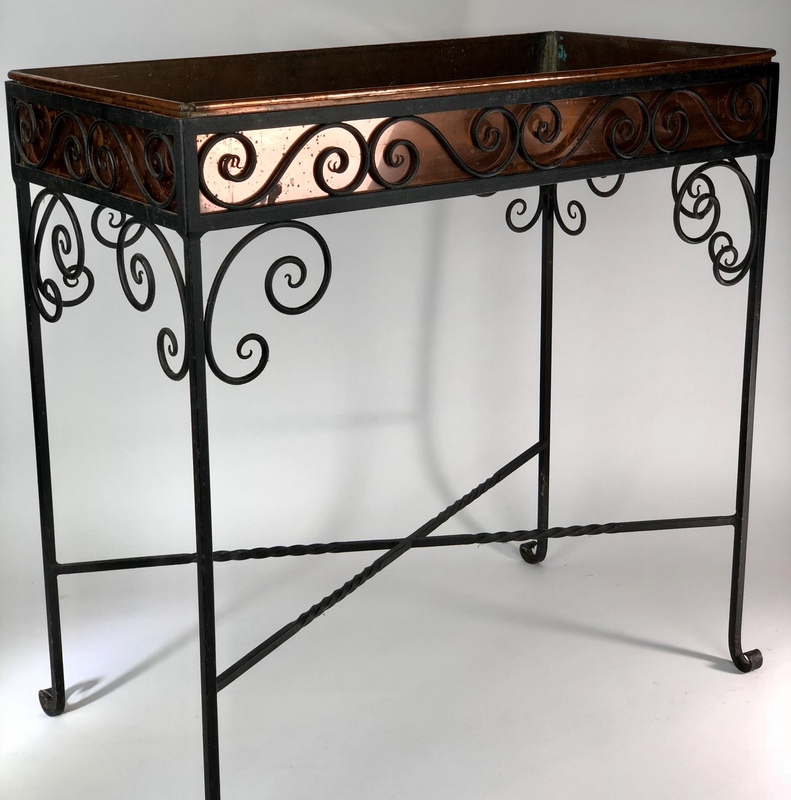 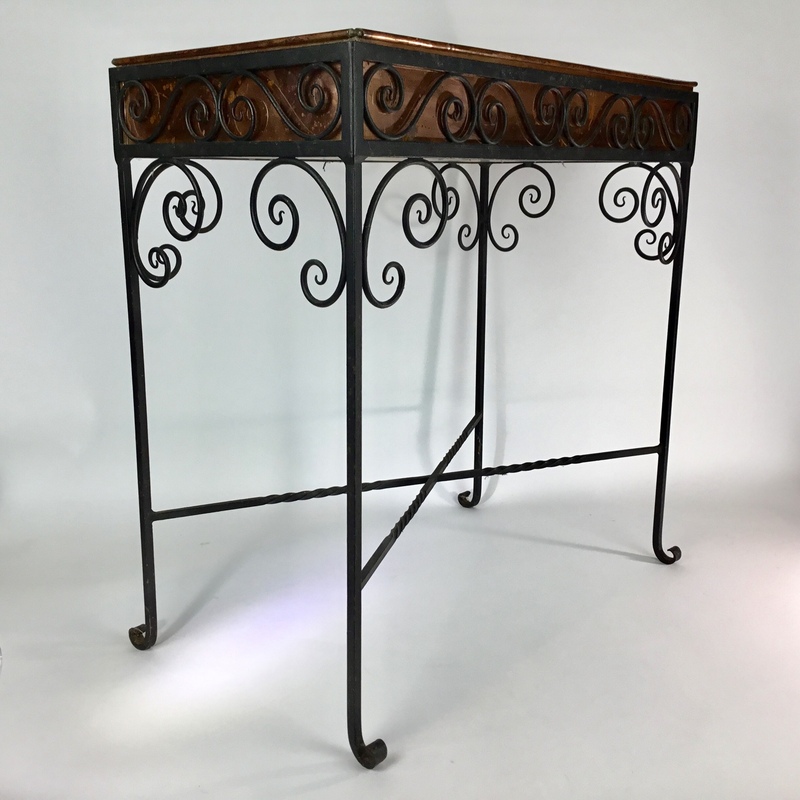 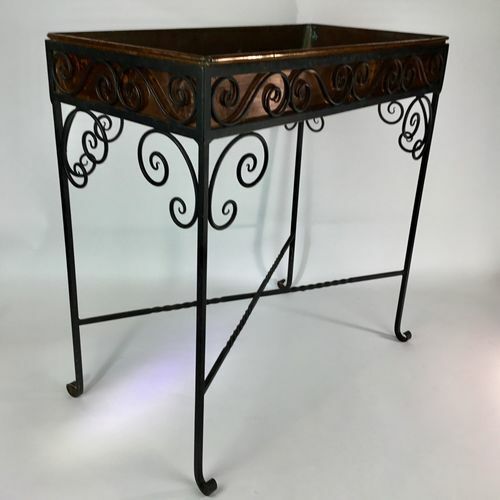 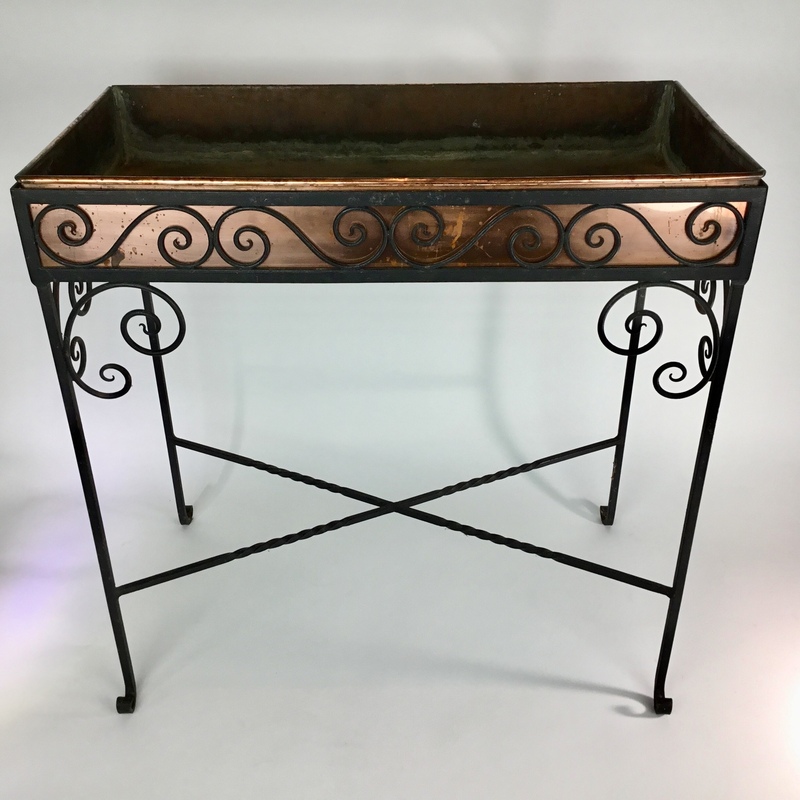 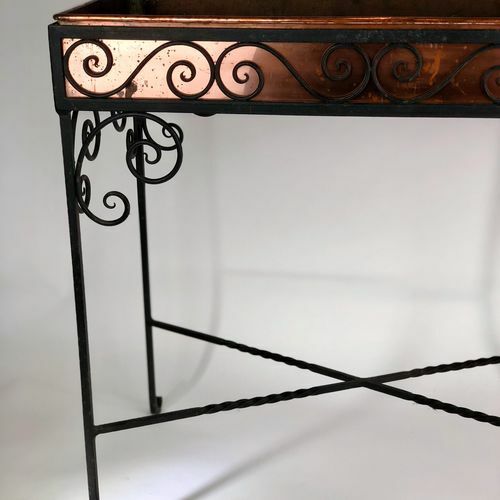 A lovely Mid 20th Century copper and wrought iron jardiniere on stand. 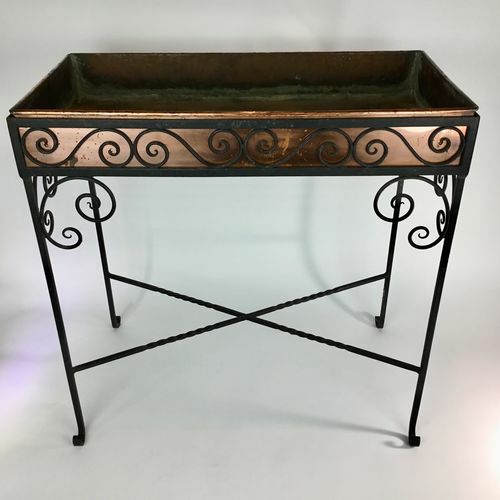 Wonderful patina to the copper. This would make a fantastic drinks table!